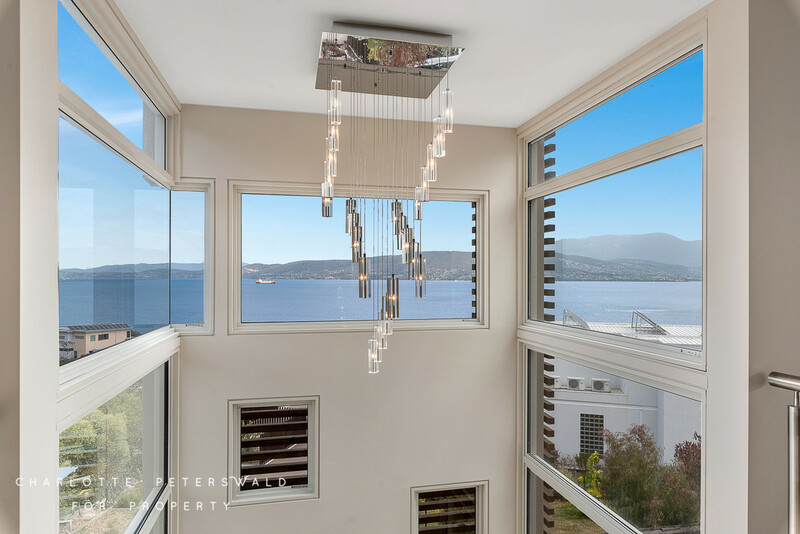 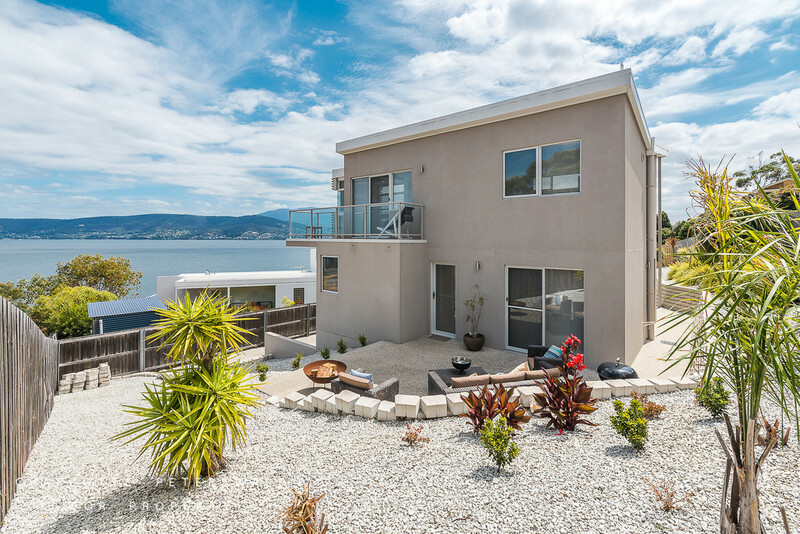 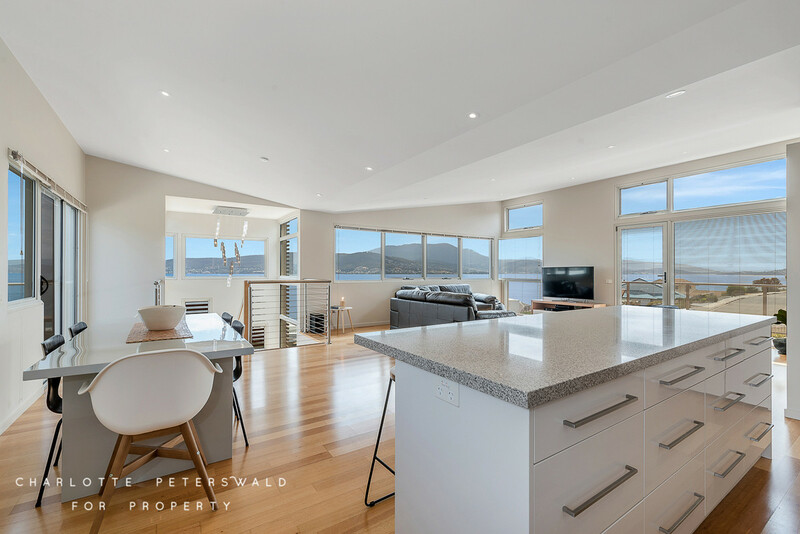 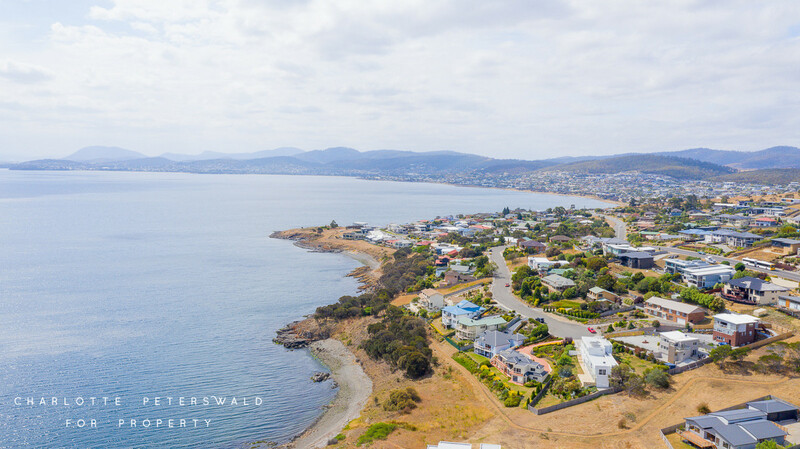 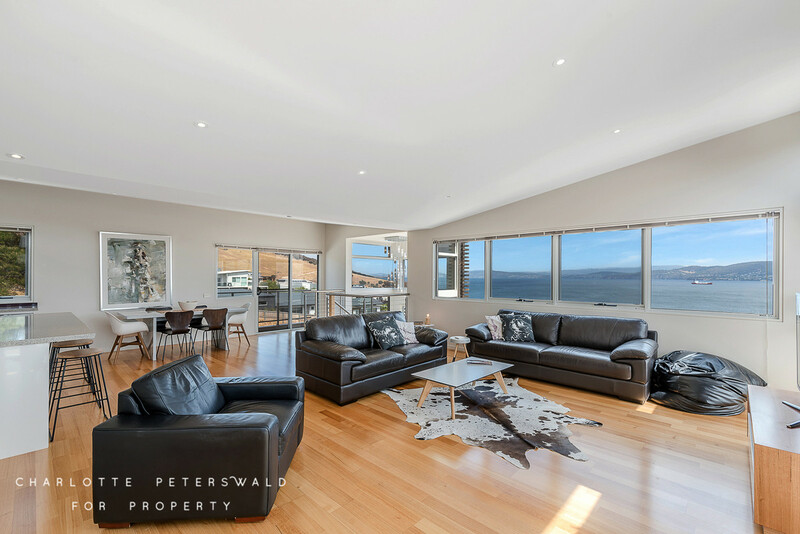 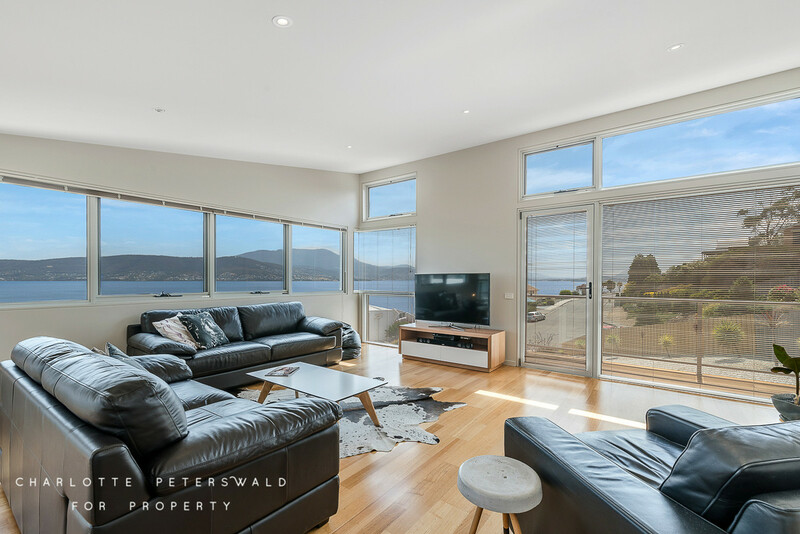 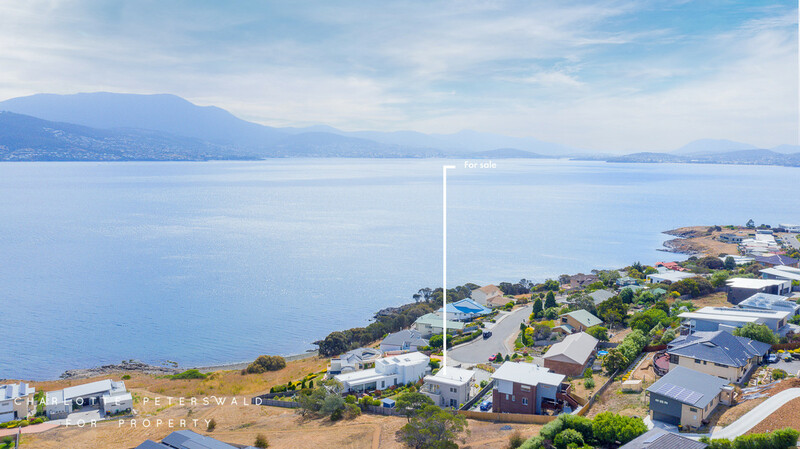 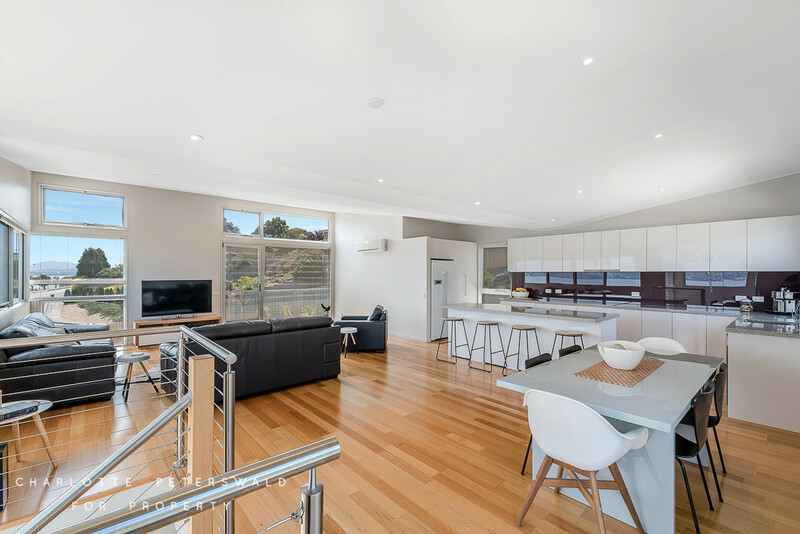 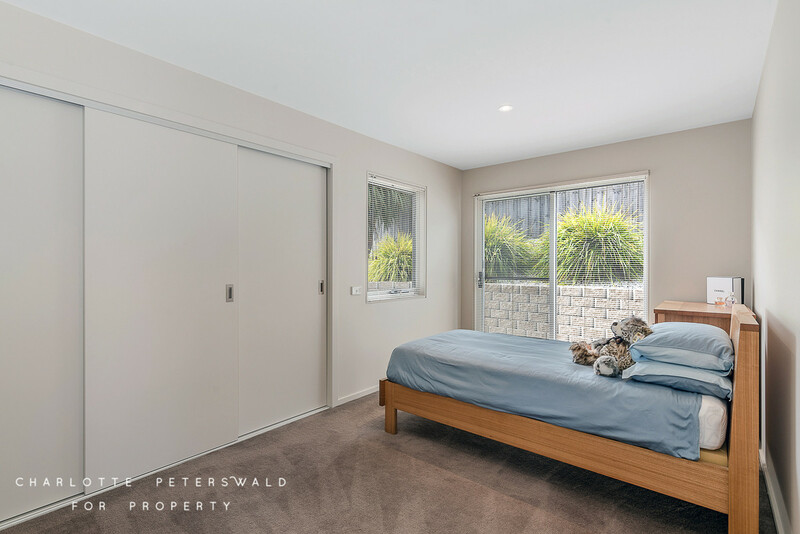 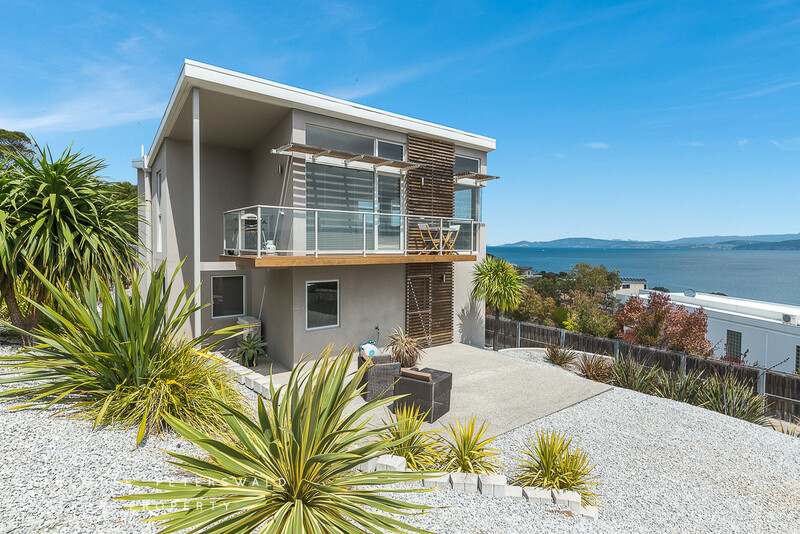 This ultra-modern multi-storey home offers uninterrupted views of the River Derwent and Mount Wellington with the very best of contemporary living in tranquil Tranmere. 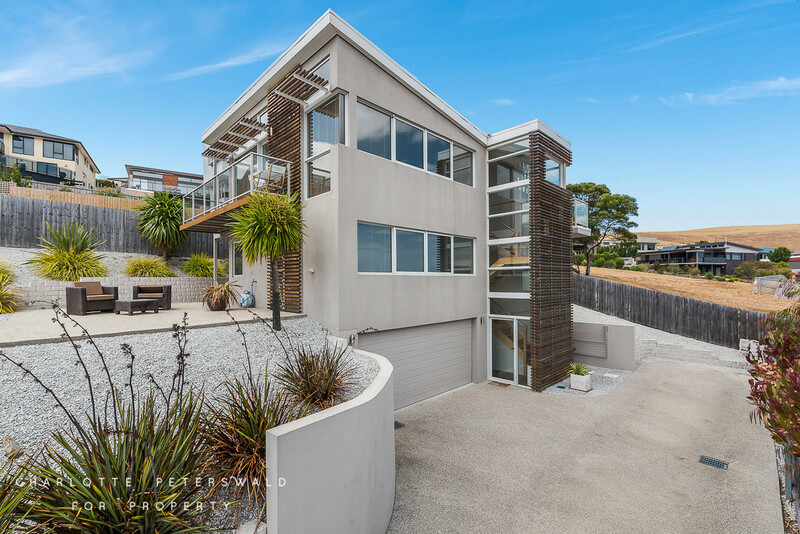 Perfect for a professional couple or small family, this striking home stands out from the rest. 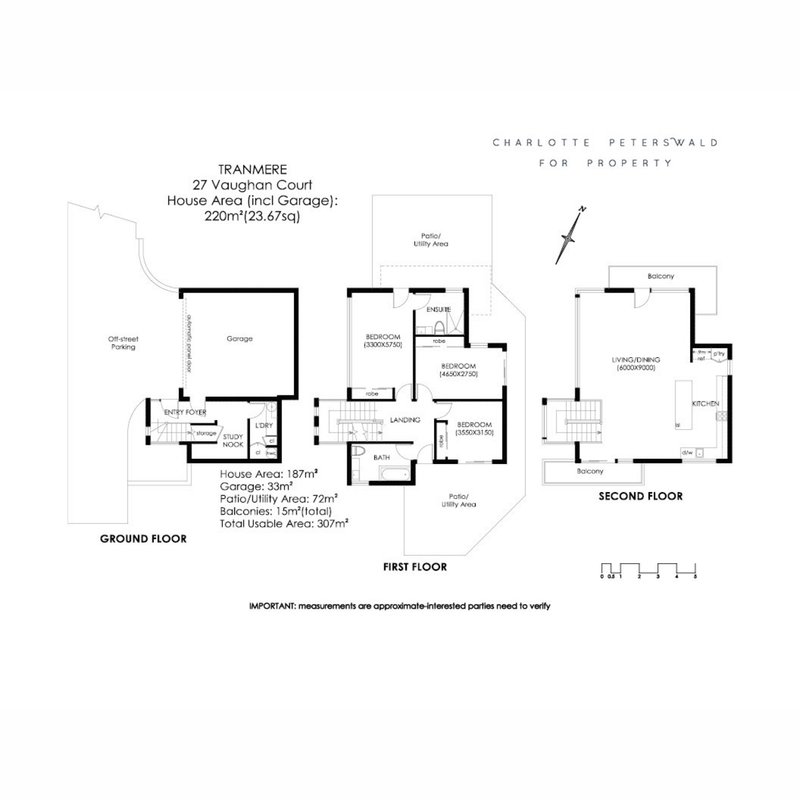 Upon entry, the elegance of the home is evident with its overall stylish architectural design. 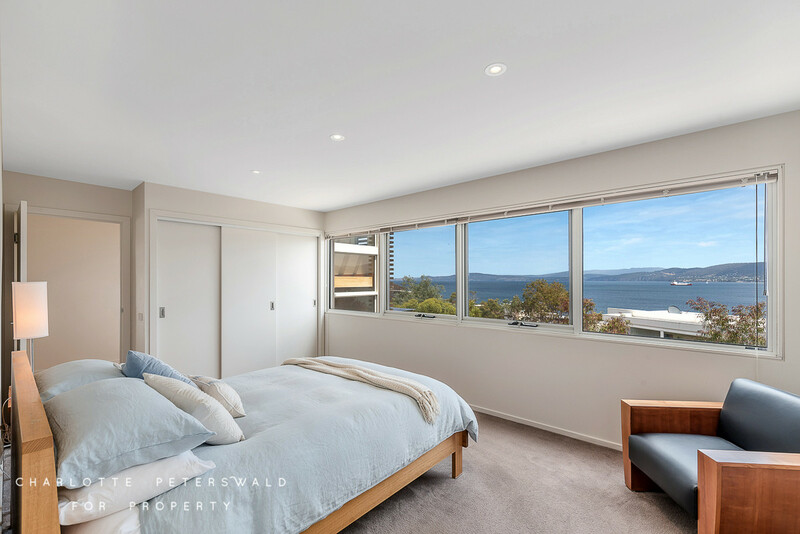 The large windows flood the home with natural light and warmth. 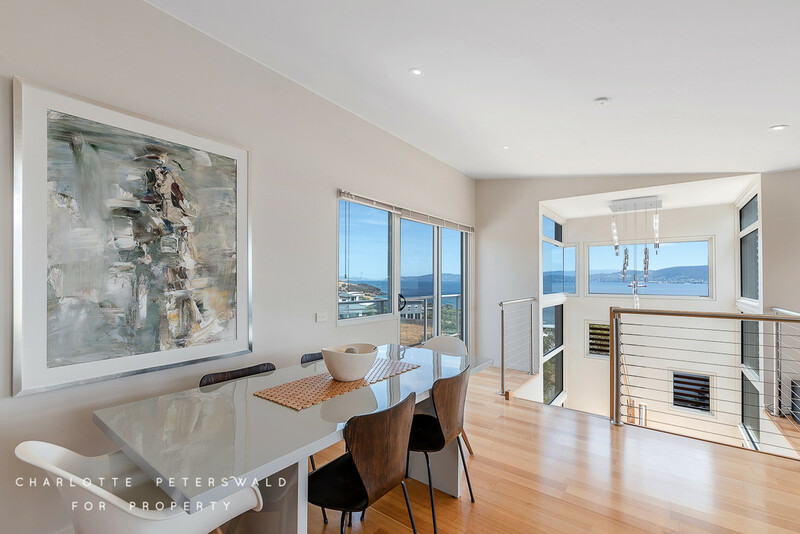 The top level enjoys two balconies at either end of the spacious combined living and dining area. 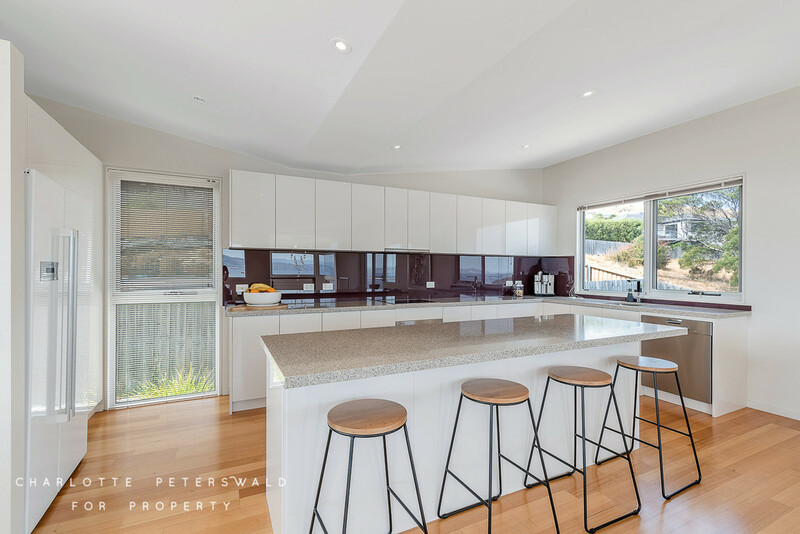 The kitchen features stone benchtops, modern glass splashback and ample meal preparation and cupboard space, all complemented by quality Miele appliances. 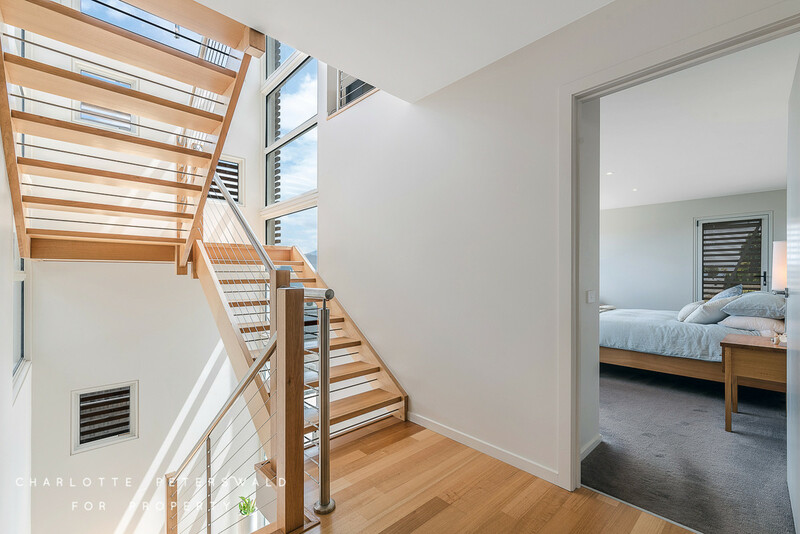 Upon ascension via the light-filled staircase, the first level of the home is equally as impressive. 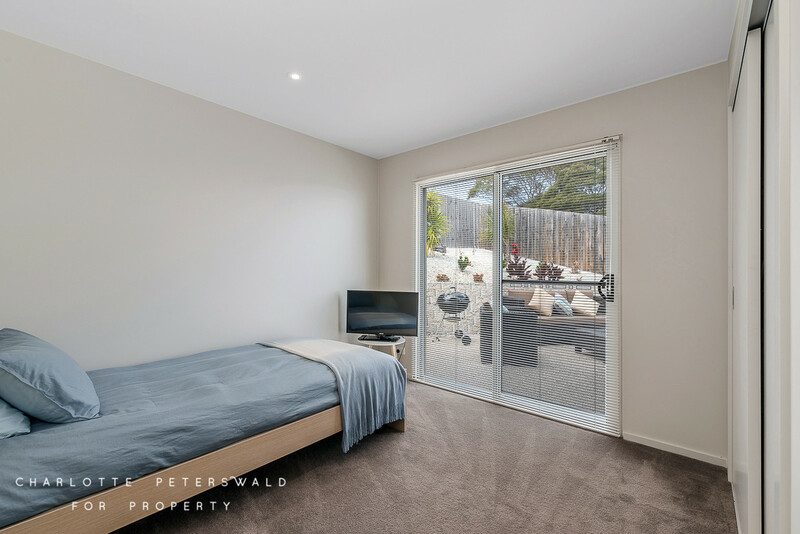 Each of the three sizable bedrooms contain built-in wardrobes, with the master bedroom enjoying an en-suite with heating flooring. 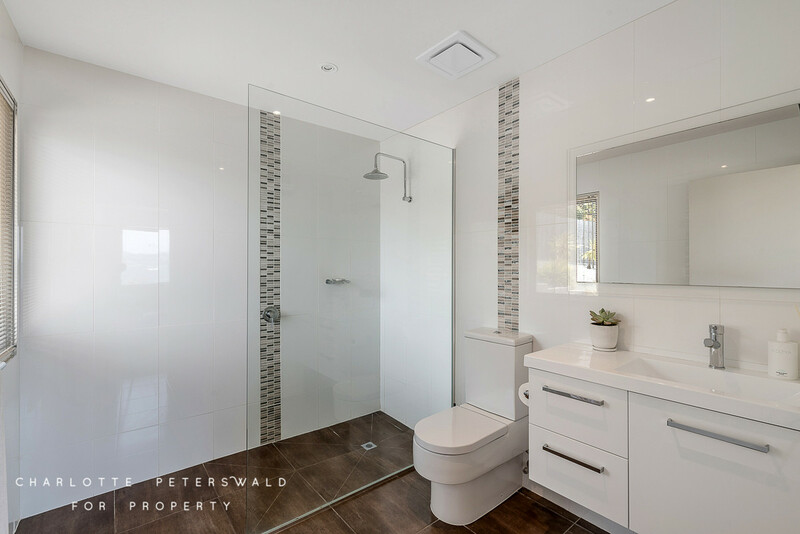 The main bathroom is stylishly fitted with classic floor to ceiling tiles and features a bath, toilet, shower and vanity. 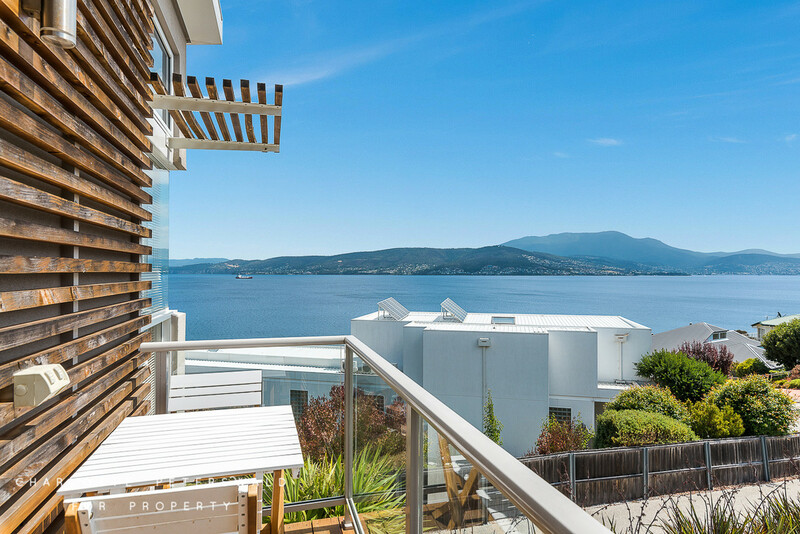 Outside provides a choice of 2 pristine patio areas, for summers BBQ’s and al fresco entertainment. 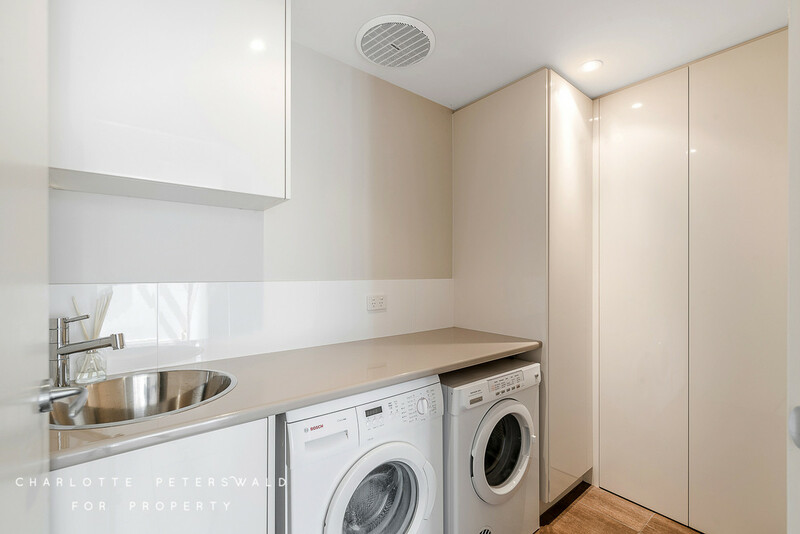 The ground level is home to a large secure garage, internal laundry and space that is utilised as a study or home office, with plenty of room for storage. 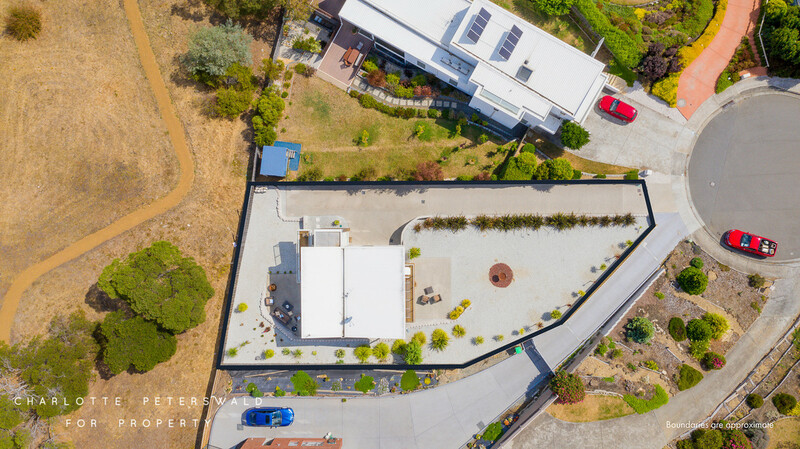 Additional off-street parking is provided for multiple vehicles on the extensive aggregate driveway.